1. 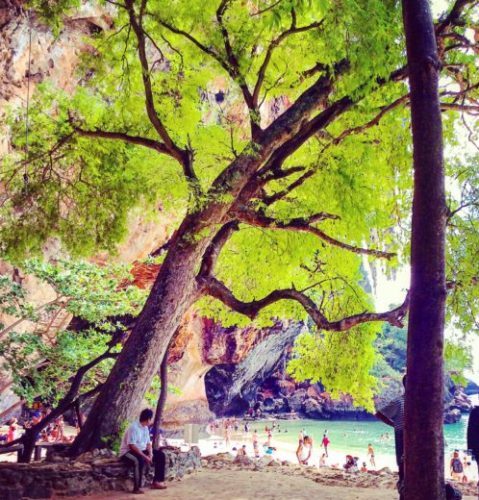 Krabi is more naturally beautiful. Look at the difference between the public beaches. 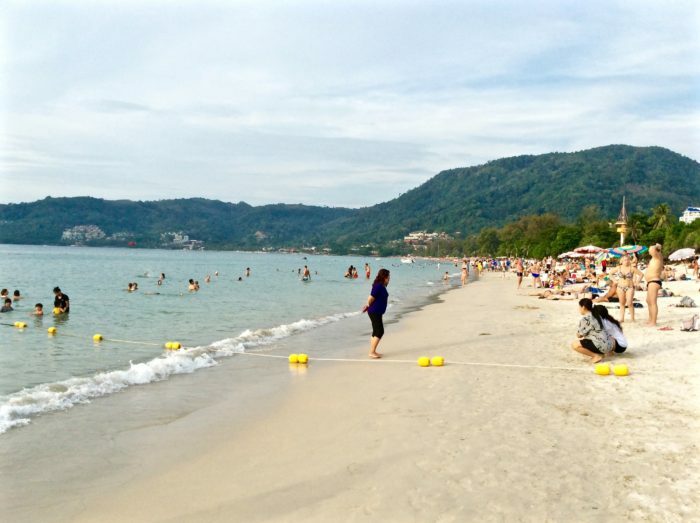 Your resort in Phuket may have its own private beach. But it comes at a hefty price. 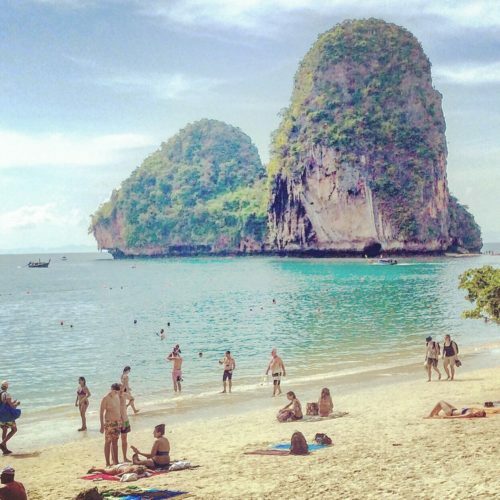 Phuket’s peak travel season is December thru March whereas Krabi’s is October thru April. Both destinations experience a significant uptick in accommodation prices for the holiday season, specifically post December 17th until the first week of January. 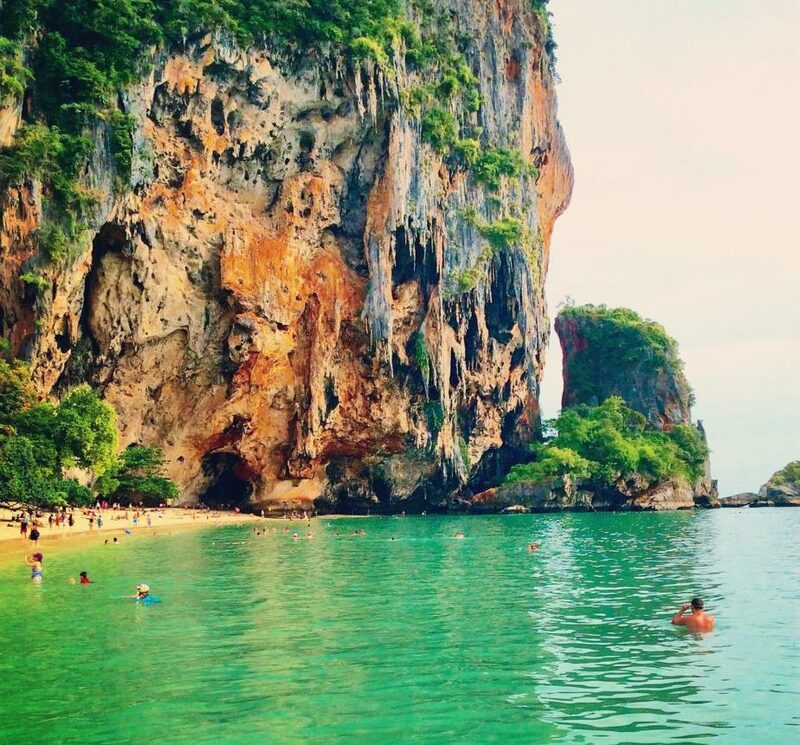 Much better deals are found in Krabi year round. Both have airports you can fly into but Krabi is also accessible by road. 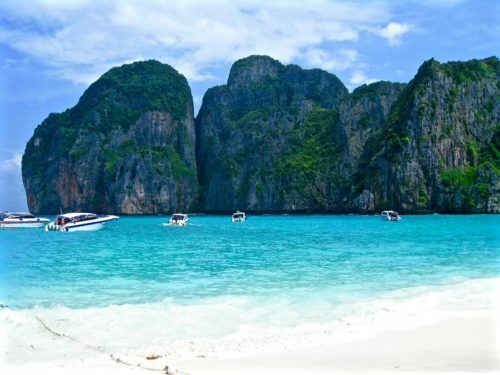 While in Phuket, many take day excursions to the incredible Ko Phi Phi Islands where scenes from the movie, The Beach, were shot. The islands offer snorkeling in crystal clear waters as well as beautiful beaches. To be frank, skipping Phi Phi wouldn’t be terrible. It’s different from when I visited it years ago and is overrun with drunk backpackers who think they’re the first ones to have discovered it. If you must go, do a day trip at the earliest possible. After 9am, its a tourist nightmare and speedboats nearly collide as they try to find a place to dock on the stretches of beach. If you look at the map to the right, you’ll see that the Phi Phi Islands are equidistant if not closer to Krabi. 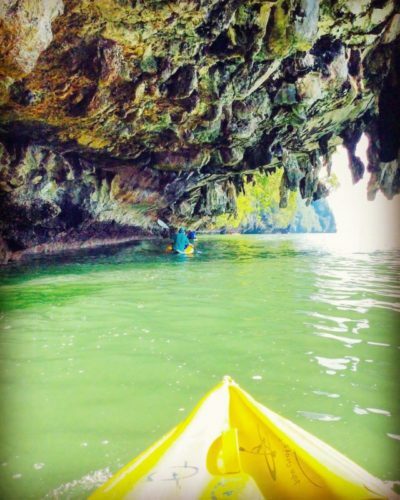 The same can be said for canoe trips to Hong Island and Phang Nga Bay, both are closer to Krabi. 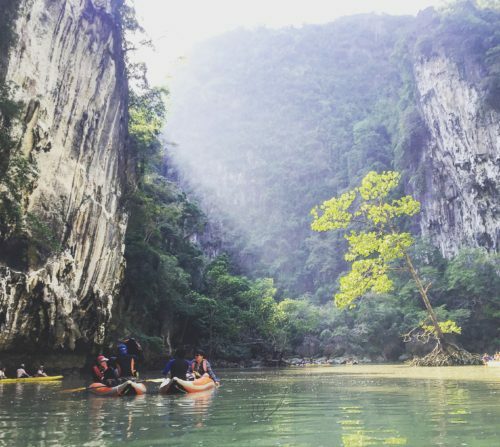 In addition, Krabi has elephant trekking, treetop adventures at Ao Luek, caving, mountain climbing, quad biking, fishing, go karting and bungee jumping. Visit the Khlong Thom Hot Springs, Khao Lak Nature Safari (a short ride away) and Thung Teao Forest National Park. 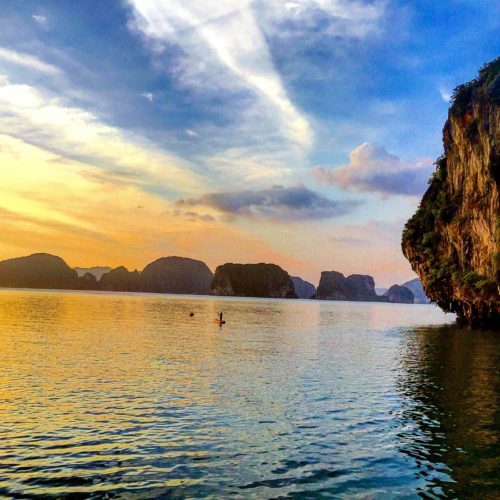 Don’t forget, Krabi is attached to the mainland whereby Phuket is an island so excursions from Krabi are easier. Krabi also is great for karaoke bars and all night beach parties. Speed boat or long tail boat trips to remote islands off Krabi’s coast are incredible and much less crowded compared to those off the coast of Phuket and the Phi Phi Islands. 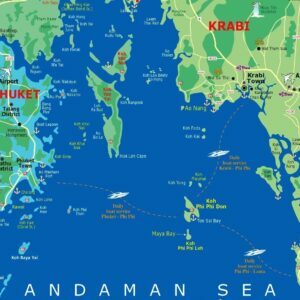 The only thing you’ll be missing in Phuket is the Phuket Aquarium, Flying Hanuman and Tiger Kingdom, all horrendously commercial and geared for tourists. The Tiger Kingdom is not worth it in my opinion. The tigers are caged, look anxious and the site is very very crowded. By all means, stay in your resort for the entire duration of your stay. But if you get a bit stir-crazy and want to venture out…. then Krabi is a much better bet for families, couples and singles. 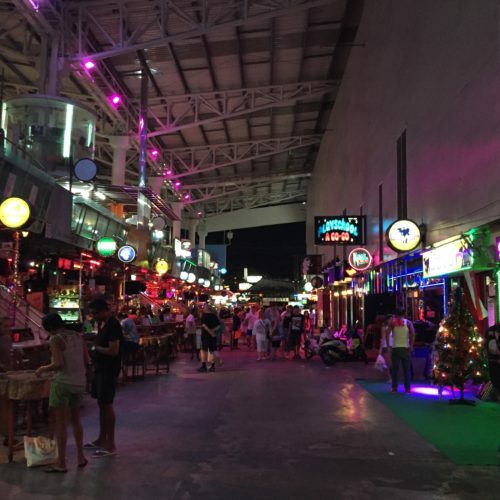 The attractions are less crowded in Krabi and Phuket main town is sleazy. You’ll get hassled nine times out of ten for cheap goods, “massage” and whatever else. It may come off that I’m speaking ill of Phuket. It’s not a bad destination. Its just that Krabi is much nicer for the reasons above. There is a better sense of Thailand in Krabi. The resorts are less manufactured. It’s not filled with chain hotels and overly manicured grounds. We stayed in a villa at the Tubkaak Boutique Resort in Krabi. Its natural setting and beach were unrivaled. Also, local fisherman are easily spotted in Krabi whereas, in Phuket, non natives are seen trying to make a quick buck via street side carts and stalls. And, the seafood is way better in Krabi 🙂 Trust me, you won’t regret it. Let me know if you decided to Skip Phuket !